Bullying remains a tough problem to tackle: more than one out of every five (20.8%) students report being bullied in the USA. But it is an issue that Diploma Programme (DP) students at Lamar Academy in McAllen, Texas have been determined to address and make their voices heard. 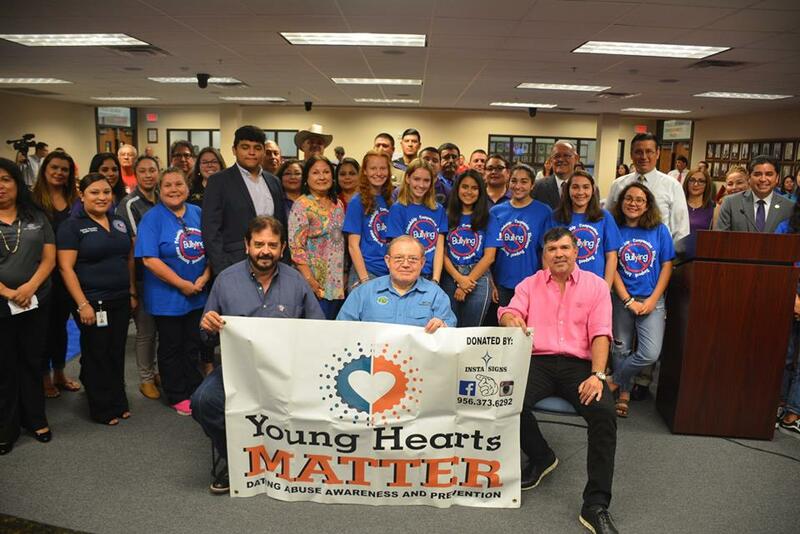 The students joined forces with McAllen Independent School District’s Bullying Prevention Specialist Jessie Martinez, Victims Unit Director for Hidalgo County District Attorney’s Office Rosie Martinez, and Young Hearts Matter, an organization that deals with teen dating violence, to bring attention to bullying prevention. Together they organized a National Bullying Prevention Month Proclamation at the Hidalgo County Commissioners Court in October, where DP students Valeria Arguelles and Sara Mendez read out the proclamation. “The proclamation has made everyone in the community aware that we are just not going to stand for bullying any more,” says Tamez. To launch National Bullying Prevention Month, students also decided to hold a rally (which developed the IB learner profile attribute ‘risk-takers’) in conjunction with the local Kids’ Marathon. “The day of the event came and we had thousands of students recite a pledge in an effort to be kind and report any bad behaviour,” says Tamez. They also met with the I AM Society, which is working to change the vocabulary that students use in elementary schools. “We want to tell students to use words like ‘nice’ or ‘kind’,” says Tamez. “While that was a great start, my students were still not satisfied. As part of their creativity, activity, service (CAS) project, they came up with an idea for IB Kind Ambassadors. They were trained in David’s Law and how to report bullying (this developed the IB learner profile attribute ‘knowledgeable’). The students went over various scenarios on how to address different types of bullying because they wanted to present to elementary schools in the following months,” says Tamez.